Dutch activist, researcher and social entrepreneur on Free Knowledge and the knowledge society based in Spain. He is the president of the Free Knowledge Institute, and co-founded the Free Technology Academy, participates in the Spanish renewable energy community/cooperative Som Energia, co-founded the Escuela de los Commons in Barcelona and follows the Open Hardware revolution. He is particularly interested in social changes that come along with new technologies. Some of his core values are: participation, access to knowledge, transparency, sustainability and social inclusion. Related to that he sees for the knowledge society the following essential building blocks: Copyleft, Free Knowledge, Open Development communities, Open Access publishing, Peer Production processes, privacy and commons governance. He achieved a Master of Science in Mechanical Engineering at the University of Twente (Netherlands). His final research project (1997/1998) was in the group of Production and Operations Management led by prof. dr. W.H.M. Zijm . He has worked in various functions in Europe, Argentina and Spain. In 2002 he founded the company xlocal.com offering services based on Free Software to SME companies. 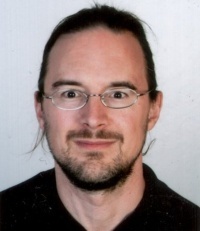 Between 2004 and 2007 he presided the working group on Free/Libre/Open Source Software at Internet Society Netherlands. Between 2006 and 2008 he was coordinator of the European Commission's FP6-funded SELF Project (Science, Education & Learning in Freedom)  to design a platform for the collaborative construction of educational materials. In 2007 he co-founds the non-profit foundation Free Knowledge Institute together with Hinde ten Berge and David Jacovkis to consolidate their activities and mission for a free knowledge society. In 2008 Wouter co-chairs the Free Knowledge Free Technology Conference, which was organised by the SELF Project and the Free Knowledge Institute. The Life Long Learning Programme (LLP) of the European Commission awards the Free Knowledge Institute a grant to set up the Free Technology Academy together with the Open Universiteit Nederland and the Open University of Catalonia. Wouter leads the project and becomes the first director of the academy. In 2009 Wouter was one of the co-organisers of the Free Culture Forum in Barcelona, where he organised and moderated the Educational panel. The main working documents that were produced during the Forum led to the the Charter for Innovation, Creativity and Access to Knowledge . Kim Tucker and Wouter Tebbens have written a modified version for the Charter from a Free Knowledge perspective , drawing on the various working documents produced during the Forum. The Free Knowledge Institute has published a summary of that as Ten Points For Change . In 2011 he was programme committee member for the Open Knowledge Conference in Berlin, organised by the Open Knowledge Foundation. Also in 2011, together with Mayo Fuster Morell, Joan Subirats, Marco Berlinguer and others he co-founded the Escuela de los Commons in Catalonia. In 2012 he developed the community and social network strategy for the Spanish commons-oriented cooperative Som_Energia/es (renewable energy community, generation and distribution cooperative) and started its implementation. Later a dedicated team was established to help grow the community infrastructure, used by around 1500 users of the 14000 cooperativists. Besides, Wouter participates in his local ecological consumption cooperative in Arenys de Mar, Catalonia. He also works as consultant on the topics of Free Software, Free Knowledge and in particular the strategy and implementation of OpenERP, . 2006, Kennisdelen in de eenentwintigste eeuw, book chapter in Open Source Jaarboek 2006-2007, MediaUpdate, Gorredijk (The Netherlands). 2006, 14 June, Los peligros del copyright, published in Spanish newspaper La Vanguardia. Retrieved September 8, 2010. 2006, Sharing Knowledge in the 21st Century, conference paper for the Online Observatory for Cybersociety Congress. Retrieved September 8, 2010. 2007, 23 March, Waarom gunnen we Microsoft zo'n monopoliepositie?, published in Dutch newspaper Trouw. Retrieved September 8, 2010. 2006, Extremadura, van achterblijver naar voorloper (PDF), book chapter in Open Source Jaarboek 2007-2008, MediaUpdate, Gorredijk (The Netherlands), by David Jacovkis and Wouter Tebbens. Retrieved September 8, 2010. 2009, Free technology academy: a European initiative for distance education about free software and open standards, Proceedings of the 14th annual ACM SIGCSE conference on Innovation and technology in computer science education, Paris by David Megias, Wouter Tebbens, Lex Bijlsma and Francesc Santanach. 2010, Free Technology Academy: Towards sustainable production of free educational materials, conference paper for the Free Culture Research Conference, Berlin, by Wouter Tebbens, David Megias, David Jacovkis and Lex Bijlsma. 2010, The Knowledge Society from a freedom centred perspective, conference paper for the Free Culture Research Conference, Berlin, by Wouter Tebbens, Hinde ten Berge and David Jacovkis. Retrieved October 8, 2010. This page was last modified on 8 May 2014, at 08:42.